"Promotional Price for First 200 Sales"
Striped Lacoste Jumper Size 7 (XL). Condition is Used. Dispatched with Royal Mail 1st Class. 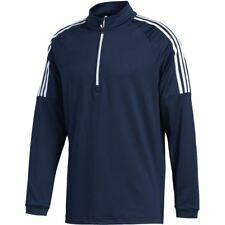 Mens Adidas Jumper Medium • Used • Red, White And Blue Stripe. Mens Adidas Jumper Medium • Used • Red, White And Blue Stripe.. Condition is Used. SMALL BLACK MARK ON JUMPER AS SHOWN IN PHOTOS. Dispatched with Royal Mail 1st Class. 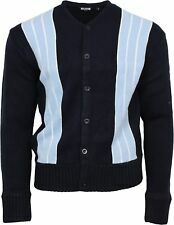 Mens Navy And White Striped Jack Wills Jumper Size Medium. Condition is used and can be seen in photos. Will be posted with Royal Mail Signed For® 2nd Class and I will keep a record of postage. If you have any questions please feel free to contact me. I have other items for sale. I also have items that I haven't listed yet so if you are looking for anything in particular then message me and I might have it and can create a listing. Brands such as Super dry, Hollister, Jack Wills, Nike, Adidas etc, female, men's and children's. Also I will do a deal if you buy multiple items. Buy 5 items and get a 6th item free etc. Message for details. Lacoste Jumper. £10 plus p and p.
New listingAuthentic Lacoste Wool Jumper Large 5 Uk 42" Rare Worn Twice striped. Emporio Armani Crew Neck Striped Jumper, Size XL. Navy / light grey / mid brown / dark brown. This jumper is light weight. Colour - 2 Flare Orange / White Strip. 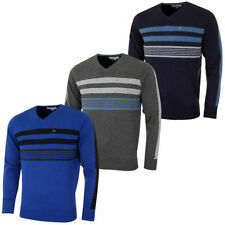 CELTIC & CO FINE KNIT MARINO WOOL CREW NECK JUMPER (PUTTY MICRO STRIPE LARGE SIZE B GRADE). RRP. £78.00 Condition is New with defects. Defect may be a frayed edge or a miss alignment of the sleeve pattern. Label has been cut to avoid store returns. Free Postage. 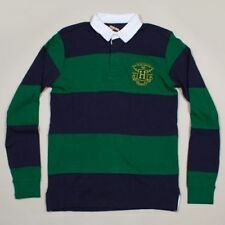 RED AND GREEN STRIPES WITH ONE GREY STRIPE AROUND THE MIDDLE. SIZE 7 (XL). AMI PARIS - ALEXANDRE MATTIUSSI. 100% CREPE WOOL KNIT. I CANNOT FIND A SIZE LABEL BUT THE JUMPER IS APPROX. OFF WHITE / DARK GREEN / BLACK STRIPED. OVERALL LENGTH - APPROX. IN EXCELLENT, CLEAN CONDITION. Beams Sweatshirt, Brought in Tokyo. Quality is top notch and fit is perfect. Calvin Klein Mens Black Jumper Size Large L. Black and White Stripes. Dispatched with Royal Mail 2nd Class. 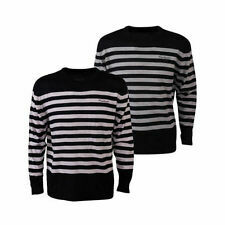 Really lovely delicate Replay jumper in a Breton style stripe. Top Soft New Pullover Sweater Stripe. · Long Sleeves: Charcoal Grey. Volcom Stripy Black White Grey Jumper Size Medium. Condition is Used. Dispatched with Royal Mail 1st Class. Lacoste Mens striped Jumper Sweater Size Medium. Dispatched with Royal Mail 1st Class. Sleeve length (collar seam to cuff): 26". Condition : Minimal bobble and colour fade (see pictures). In overall very good used condition. Main Colour : Red. Length (nape to hem): 26.5". LACOSTE KNITTED STRIPED HOODIE, MEDIUM. Condition is Used. Dispatched with Royal Mail 1st Class. Mens F&F Jumper Size Large. Dispatched with Royal Mail 2nd Class. This striped cardigan has a fibre content of 69% Cotton, 21% Acrylic and 10% Wool and features an 8 button fastening and two open pockets. - Chest approx. 41" and length 29" approx. The colour is white with grey/green stripes and four off-white buttons on the shoulder. Full length (top of collar to bottom of hem) - 27.5". Armpit depth - (top of collar to bottom of armpit) - 9.5". PAUL & SHARK YACHTING STRIPED NECK TOP SWEATER NAVY WHITE RED XXL .PLEASE READ.